During a recent conversation with a CFPB employee, I learned that the CFPB receives over 100k complaints each year and they have severe punishments for those that violate the law. She also mentioned that since these harmful complaints can tarnish a company’s brand, it behooves them not to try to resolve this issues in a timely manner. Finally, she mentioned that all of this data is available online for consumers to fully understand the services that they offer. What’s Going On In This Data Set? Before we get into the issues, here’s a look at the data set. Since the bureau was founded, we can see that the number of complaints has risen each year. And if we look at this on a month-over-month, quarter-over-quarter, and year-over-year, we can see that these numbers keep increasing. Without knowing the full story, it’s very easy to imagine that many consumers would not have had their disputes resolved had it not been for this agenda. So kudos to the CFPB! Where Do People Feel That They’re Victims of Fraud? Let’s get to the meat of this, which is to expose the issues and the companies. In the graphic below, we can see the total # of complaints by product and issue reported. Not surprisingly, the biggest consumer disputes are financially-related things like credit checks, mortgages, debt collection, and credit reporting. Since these issues affect people’s livelihood, it’s no surprise that they file the most complaints for these issues. 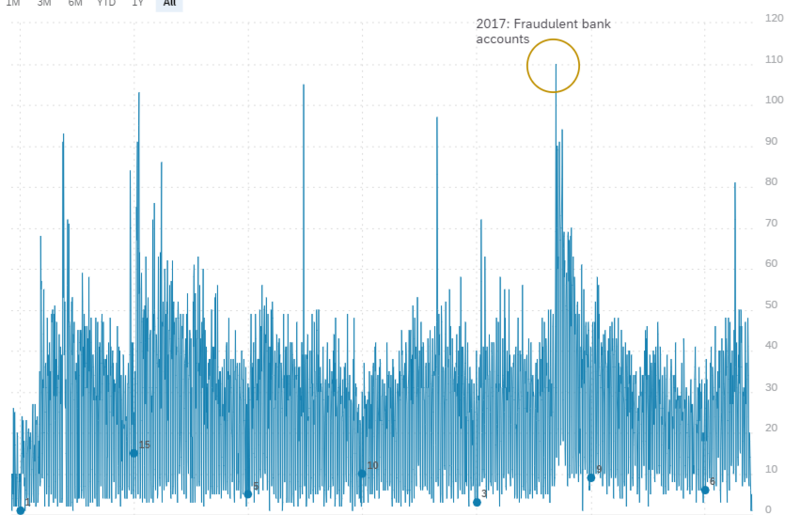 From reading the news, you would think that Wells Fargo was the poster child for consumer fraud, but from the chart below, there are no big spikes despite their big scandal. 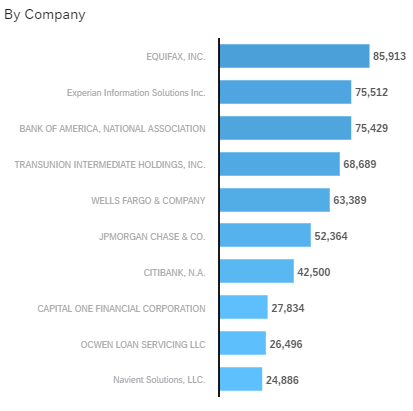 And if we drill down further, we can see that their checking account issues only account for 23.6% of the complaints. So apparently, consumers didn’t care or didn’t feel that they were victims as much as the news reported. Where Are the Spikes? And what is the CFPB doing to punish companies of wrong doing? 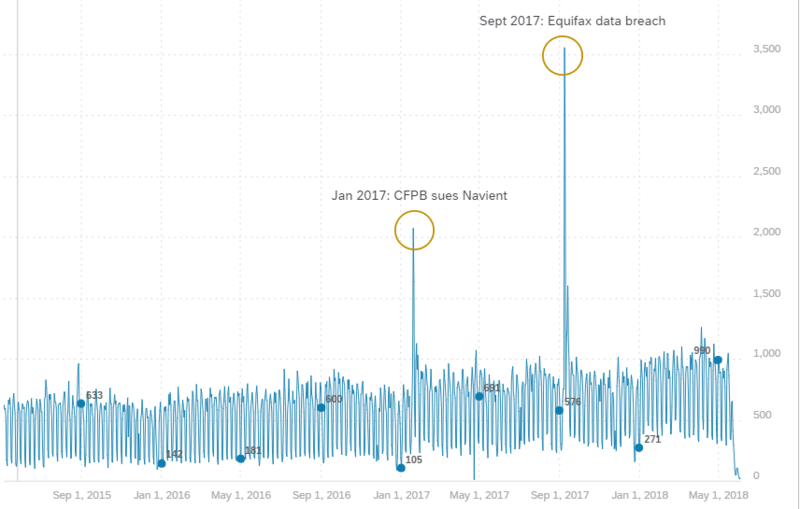 If you look at all of the complaints by “day”, you will see two very large spikes; one in Jan 2017 (Navient lawsuit) and one in Sept 2017 (Equifax data breach). Since the Equifax data breach, the CFPB has received over 18,000 complaints and has since filed a lawsuit against them. You can get all of the latest updates from the CFPB equifax page. I wasn’t familiar with Navient. Navient provides student loans (through Fannie Mae) and they have a long history of cheating students out of their repayment rights. As a result, the CFPB is suing Navient against these deceptive practices. Since this lawsuit, over 14,000 people have filed complaints against Navient and may be entitled to compensation. In addition to the two lawsuits (Equifax and Navient), the purpose of the CFPB is to force these companies to respond and resolve to these complaints in timely manner. 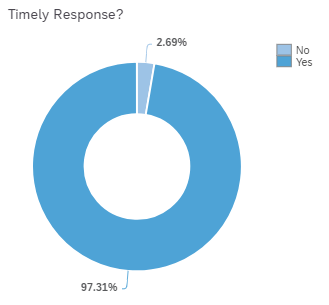 In the figure below, we can see that companies are responding in a timely manner 93% of the time. This is a good thing. However, the responses are interesting. 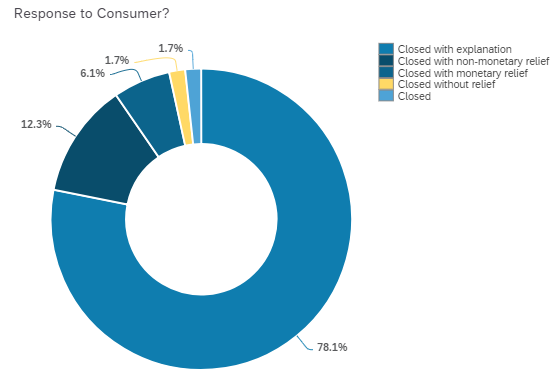 The vast majority (78%) of these complaints get “closed with explanation”. So it would seem like the common resolution is to just send the victim a letter saying that “we’re right, you’re wrong”. However, if we drill down on the “closed with monetary relief”, we can see 1000s of complaints where the victims received some sort of compensation – where they may not have had it not been for the CFPB. 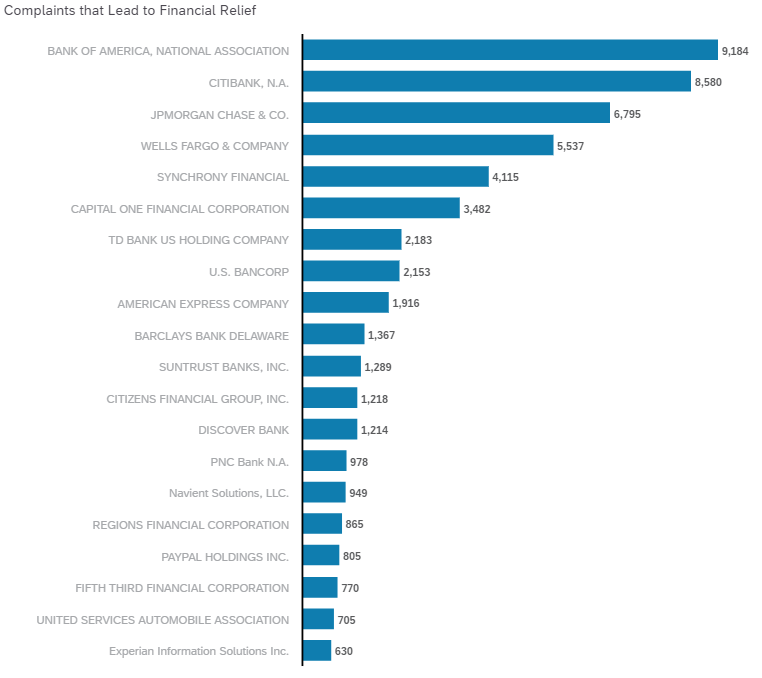 The unfortunate part is that Equifax didn’t make the top 20 and Navient is very far down on the list. (1) The CFPB is Helping. These large financial institutions control your house, your money, your credit report, and your student loan and any deceptive or unethical practices can be extremely disruptive to people’s lives. The results of people’s complaints have directly lead to large lawsuits and financial settlements against these large institutions. The data proves it. (2) Most Companies dismiss these claims. While the data doesn’t tell us why the complaints are being rejected, it appears to be difficult to get any monetary or other type of relief. So if you feel like you’ve been screwed, you’re likely to get a letter from the company dismissing your complaint. (3) People need analytics, not data. While the CFPB does an excellent job providing timely and updated “raw data,“ they provide very little analytics and insight into this data, like we’re seeing above. 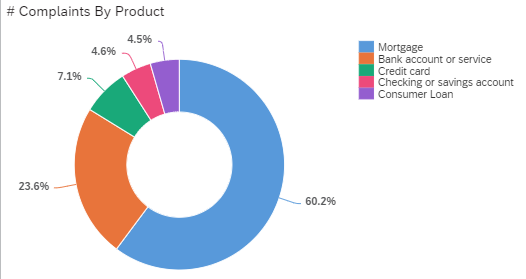 This type of analytics let’s us see the whole story in the data and to show everyday citizens how the CFPB is helping. Got questions about the data, want to see a demo of this dashboard, or just want to know how analytics can help you? Leave a comment below and I’d be happy to respond.